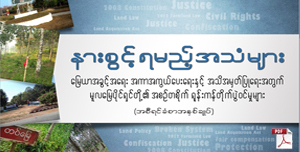 The Farmland Law was enacted and approved by Burma Pyi Daung Su Hluttaw (Burma Union Parliament) on March 30th, 2012. 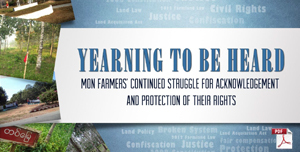 Analysis: The farmers are allowed to cultivate farmland, but it is owned by the State. The farmers and the farm workers have no right to own the farms, and by definition, the government authorizes the farmers to use the land. In accordance with the Law, farmers who own farms are essentially considered the same as hired workers. It is as if the government’s role is that of a landlord, and is the same as when kings controlled the land during the feudal era — owning the entire country’s land. Analysis: Farmers are not permitted to access resources “above or below” the land, affording the sole ownership of and profits from abundant natural resources to the government. Analysis: The farming tax and other taxes are equivalent to paying rent. 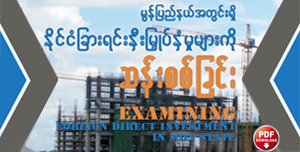 The farmers are paying rent directly to the landowner, in this case, President Thein Sein’s government. During British colonization, farmers had to pay exorbitant sharecropping fees. How meaningful is “independence” when farmers still have to pay taxes on farmlands? This system of exacting rent should be abolished. Analysis: Under the government of each military generation, farmers have had to get permission and agreement from the Farmland Committee before using the land. The Farmland Management System has not changed, and the Law’s restrictions are getting tighter. Analysis: This section prevents the farmers from working on and using the farmland freely. Analysis: In order to compete in the economic market, farmers must not be prevented from producing new or different crops. It is essential for farmers to have the right to cultivate and produce freely based on market demand in order to increase their profitability and diminish the country’s high levels of poverty. Growth that improves the farmers’ standard of living should not be constricted. Farmers should have the freedom to cultivate any kind of crops and the right to freely store, process, transport, and distribute the products. 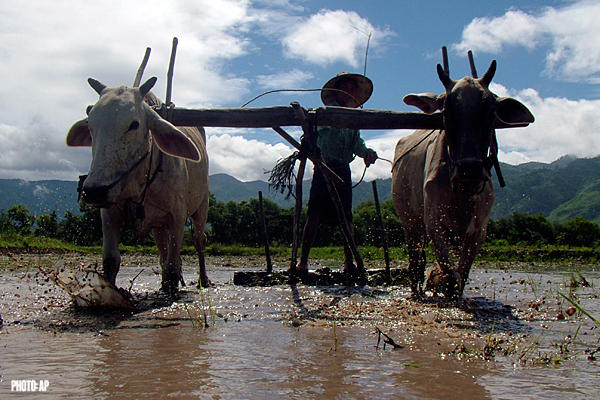 Analysis: According to the conditions, individuals who supervise crops or livestock breeding for business purposes, Burmese investors, or management personnel can be considered farmers. Analysis: News media has reported on the people who meet the definition of “farmer” and they include government officials, senior generals and their relatives, tycoons, landlords, and foreign investors. The classification of “farmer” means individuals can be given confiscated land from which to reap profits. 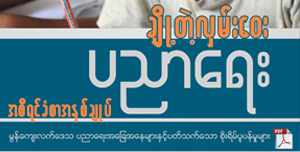 President Thein Sein’s government appears to be benefitting from a feudal-style system. Analysis: The government is prepared to designate any land in the country as “farmland” in order to claim confiscation rights. 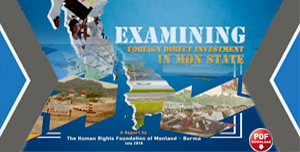 Analysis: Individuals in the USDP-led Thein Sein government, its crony companies, and foreign investors can each own up to 50,000 acres of land. 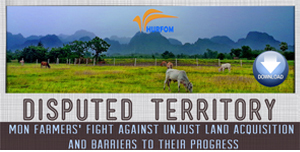 Analysis: The government is using the farmland system to intimidate and imprison farmers instead of protecting them. Analysis: These repealed laws include some prescriptions and conditions that are beneficial to farmers and the country, but they are not addressed in the newest Farmland Law. 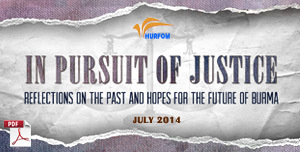 The disadvantages of this new Law will not only cause conflict but may also turn into protests. Analysis: According to section 3 (j), it is doubtful that labor organizations truly benefitting farmers will be permitted. The laws do not grant full freedom to establish unions and are designed to only assist with “economic development.” These restrictions are similar to previous limitations that were placed on unions and reflect past lessons and experiences.